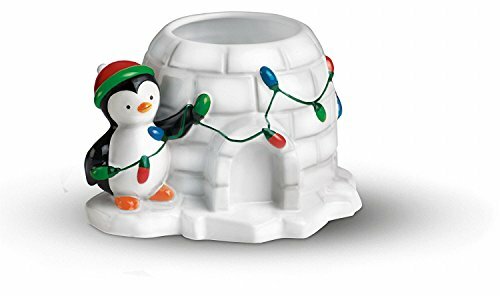 Precious Penguin Christmas planter happily strings colorful lights from his igloo. Can be used as a Christmas planter or a candy dish. Measures 7.5" long by 5" tall. Precious Penguin Christmas planter happily strings colorful lights from his igloo. Can be used as a Christmas planter or a candy dish. If you have any questions about this product by Teleflora, contact us by completing and submitting the form below. If you are looking for a specif part number, please include it with your message.